Wikileaks unveiled their biggest CIA document drop ever last week dubbed ‘Vault 7’, exposing the CIA’s global hacking force. Today, they taunted U.S. National Security circles as they gear up for their next document drop. Stay tuned, we will be reporting on Wikileaks as they publish their next round of punishment. 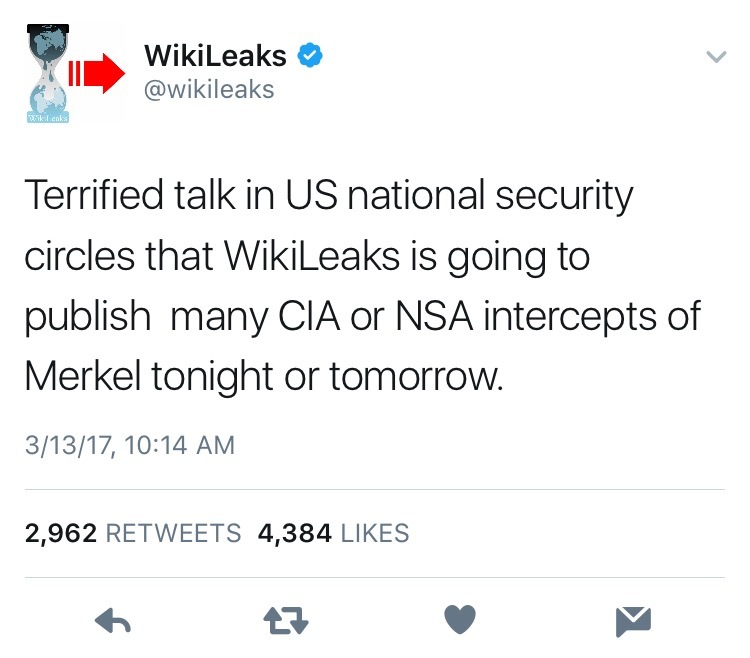 Terrified talk in US national security circles that WikiLeaks is going to publish many CIA or NSA intercepts of Merkel tonight or tomorrow.